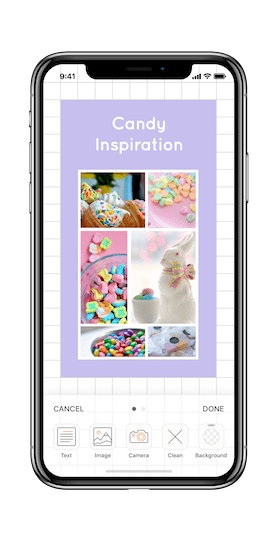 Plotboard helps you to easily arrange photos and text on a grid. Make your moodboards, photo collages, choose style, compare makeups right on your mobile device. Plotboard is particularly liked by designers. You can import photos from Pinterest boards or directly from Google Image Search. We always look for inspiration. Especially when we work on some projects, design our home, plan wedding or our next trip. To gather some ideas, notes, beautiful pictures we used to create some inspiration boards, call mood boards. And they become very popular and helpful with creating concept and defining style or direction for projects you are working on.. Couple of years ago we created inspiration mood boards on our walls at home, changed them from the beginning of new season and put pictures with dreams and goals on it. Later it became popular to decorate working space at office and create some mood boards for client's projects. Nowadays a lot of designers, make-up artists, web designers, wedding planners use mood boards to communicate with customers, show their vision and thinking. Interior designers use mood boards to share decor options for space and surroundings. Make-up artists use mood boards to share new beauty products or make-up trends for new season. Wedding planners use mood boards to choose a perfect color theme and decoration for the ball room. In case you are not using mood boards for work, it can be very helpful for personal style selection, planning your next trip or making some photo collages with your family photos. 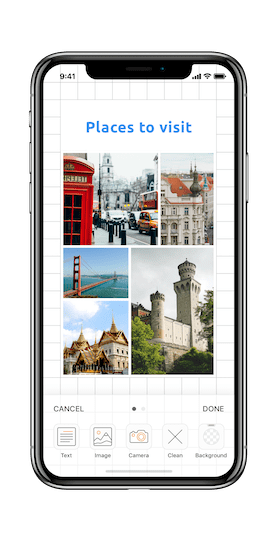 Mood boards for travelers will become super helpful, all you need to do just collect pictures of spots you would like to visit and keep them on one place. A good option is when you can create any moldboards on the go. 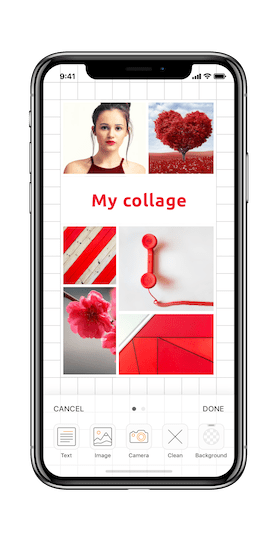 We have created a super tool for you, which is easy to use and you can make your mood boards, inspiration boards or create photo collages within minutes.